The Caterpillars of this species feed on plants from the family BORAGINACEAE. The forewings of the adult moth have a brown front half, and a white rear half, with a wavy line separating the halves. The head and thorax have white dorsal patches. The wingspan is about 0.8 cm. 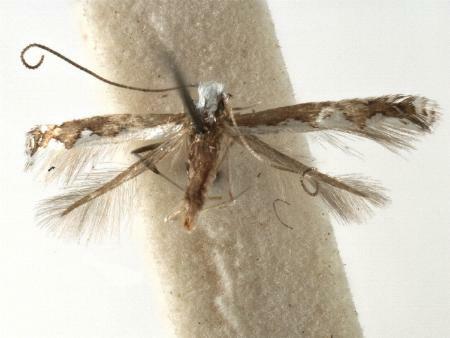 The moth of this Australian native species is similar to that of the species Dialectica scalariella which was introduced deliberately into Australia, but the cocoons are more easily distinguished. Volume 36, No. 1 (1997), pp. 25-36. Volume 1 (1915), p. 628.